Getting artwork for building wrap is not an easy task, especially in London where all the buildings and streets are so close together and you can’t get a good perspective. Taking photographs for building wrap artwork at street level and then manipulating the image on a software program like Photoshop will only go so far. Once the building is over 20 meters high stretching the image perspective the building starts to look odd. Getting the artwork for building wrap life like is the very ‘art’ we specialise in. Having done a lot of work for Westminster Abbey, Project Print Management was called in to produce a trompe l’oeil building wrap (also called scaffold wraps ) as St Margaret’s Church clock tower is having renovation work done and will be under scaffolding for over two years. A trompe l’oeil building wrap is basically a lifelike print of the building to disguise or hide the scaffolding. 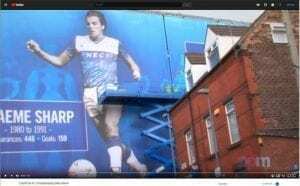 The art of course is not only getting the artwork for building wrap accurate but also making the print high enough resolution and ensuring the installation is carried out in a way you can’t see any fixings and creases. Only then will the trompe l’oeil building wrap look life like. The ambition is to make the construction site or scaffold go unnoticed. Having surveyed the area getting a van mounted platform positioned in the four elevations needed was not going to be possible or practical. One elevation would need the van to be positioned on Parliament Square. This would need special permission from Westminster Council and can take up to 4 weeks and the other elevation, trees were in the way from the only practical position. The other option was a high resolution 4K drone. Getting a drone to take the photos was the most practical solution. 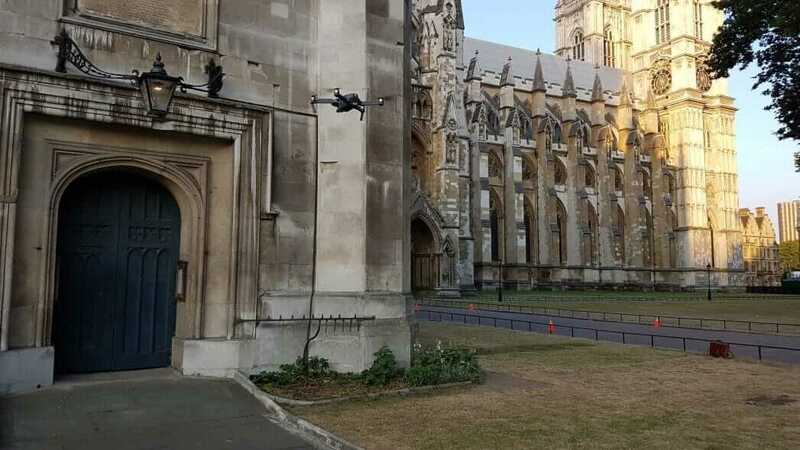 But flying a drone near the Houses of Parliament will need special permission and we know refusal is quite normal. Westminster Abbey is neither a cathedral nor a parish Church but a ‘Royal Peculiar’ and is under the jurisdiction of a Dean and Chapter and needed to get permission from them first. A drone pilot must have PFCO or CAA certification and insurance for commercial operations. The pressure was on because by the time we got approval from the Dean we only had 1 week before the scaffolding went up and the opportunity to photographic and get the artwork for building wrap would have gone. 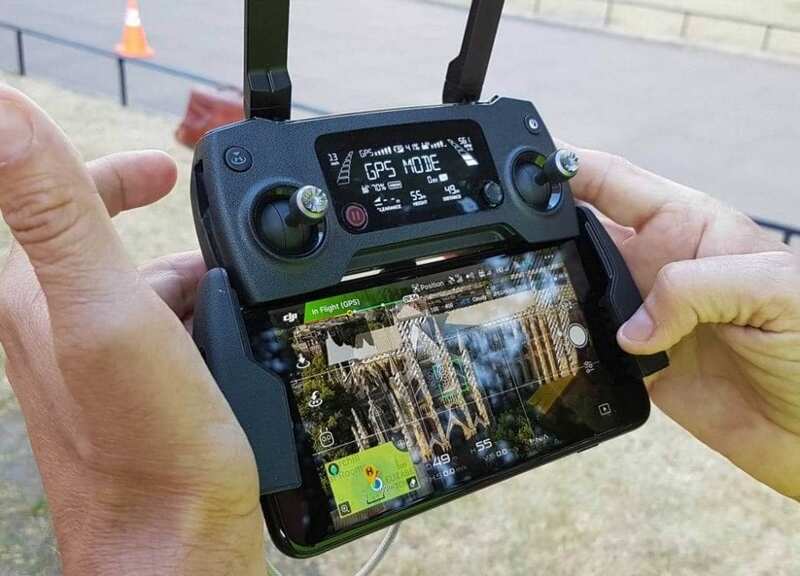 All drone flights must apply for a Non Standard Flight Application from the National Air Traffic Control Services (NATCS). This normally takes 1 week but can be up to 21 days. We managed to get provisional ATC approval in principle the day before we were supposed to fly and we had to also get clearance from the PaDP (Parliamentary and Diplomatic protection) and London Control SWA (Senior Watch Assistant) which can only be done one hour before the flight. Fortunately we got permission from both bodies needed and we took off at 5am. We were very lucky, as it was a fine, clear morning with little wind. The photography took around 1.5 hours which gave us about 30 mins to take some spectacular video of Westminster Abbey. For more information on Artwork for building wrap please contact us or visit or blog page for our latest work.